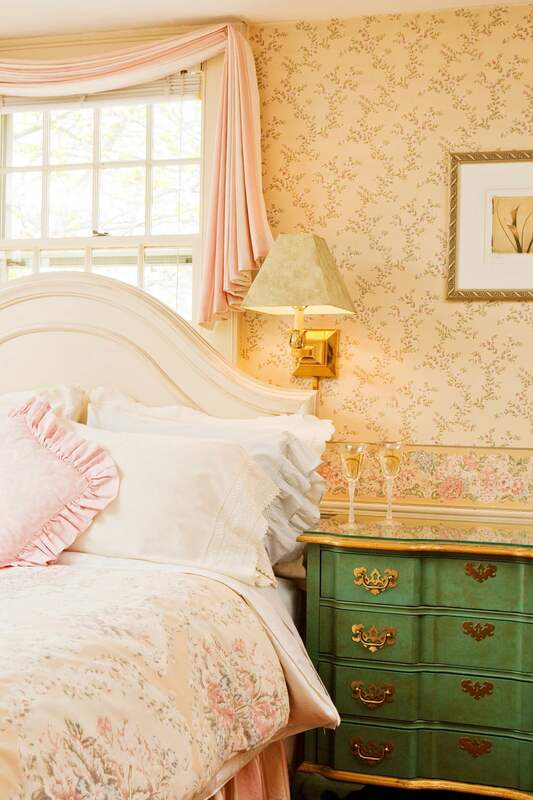 Snuggle into the softness of The Westcroft’s English country charm and bright, cheery surroundings. 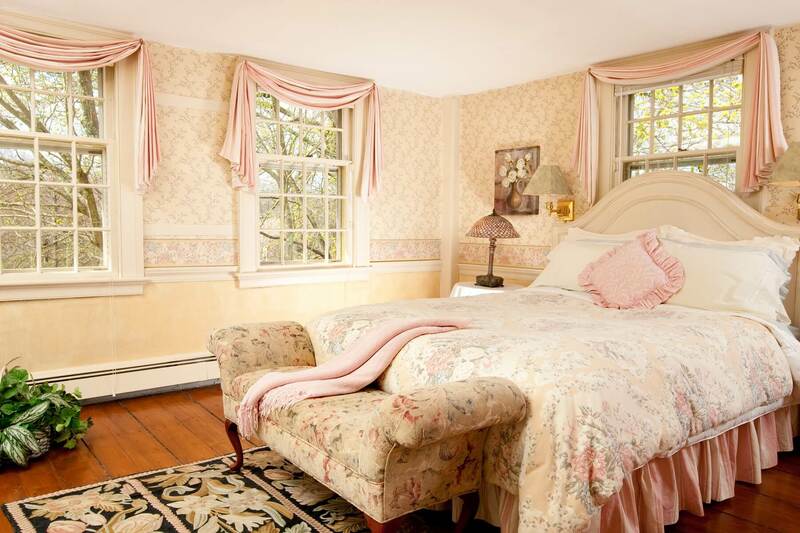 Relax and rejuvenate with a romantic getaway in this west facing room overlooking the west lawn and endless stone walls. The queen size bed will envelop you as you gaze at the crackling fire in the wood-burning fireplace (Oct. 1 – April 30). Enjoy a glass of wine while the sunset casts a magic glow in this delightful second-floor room. This “super cute” room features a pine double armoire, small writing desk, and an artisan’s chest. This room, located on the second floor, also shares a door with the Stonecroft Room which makes it a fine alternative for family or friends traveling together. Additionally, for your comfort and convenience, the room is equipped with plush bathrobes, select bath amenities, hairdryer, free Wi-Fi and AC in the warmer months. 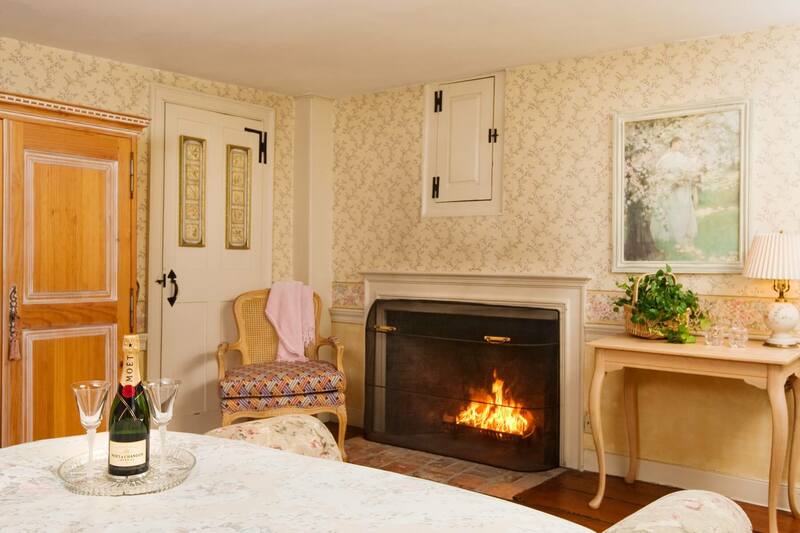 Enjoy your own private bath with an in-room heater. This room is also the perfect accommodation for the single traveling guest.